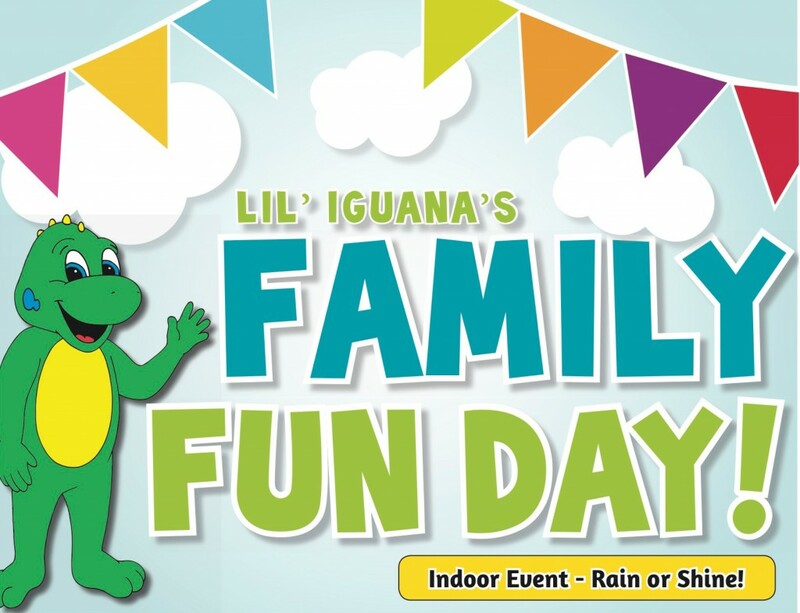 Lil’ Iguana’s Family Fun Day! Have a fun filled Saturday with your kids at Lil’ Iguana’s Family Fun Day! The Nashua High School South will be hosting the event on Saturday, May 14, 2016. This indoor event will be from 10:00a.m. up to 3:00 p.m. This Family Fun Day affair happens twice a year and focuses on health & fitness, safety, and literacy for children and their families. Free samples of healthy food and drinks will be available for the participants. There are exciting and simple activities that promote active play can be enjoyed by the whole family. All day live entertainment, costume characters and team mascots, bounce houses, obstacle course, pitching station, coloring contest, face painting, balloon art, princess characters, and so much more will be presented by this Family Fun Day event. Everyone that will join the coloring contest will get a book as their prize. New bikes with helmets will be awarded to two grand prize coloring contest winners. Come in early because the first 1,000 attendees of Family Fun Day will get giveaway bags upon entering the affair which are filled with samples, coupons, and giveaways from local businesses and Family Fun Day exhibitors. Ticket price for this event is only $1 per person.